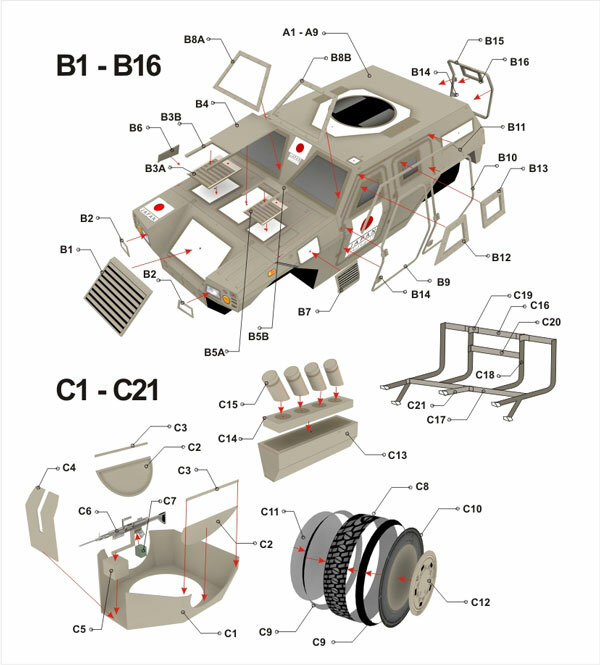 It was a commercial paper model from my old site, julescrafter.com and now I share it for free. 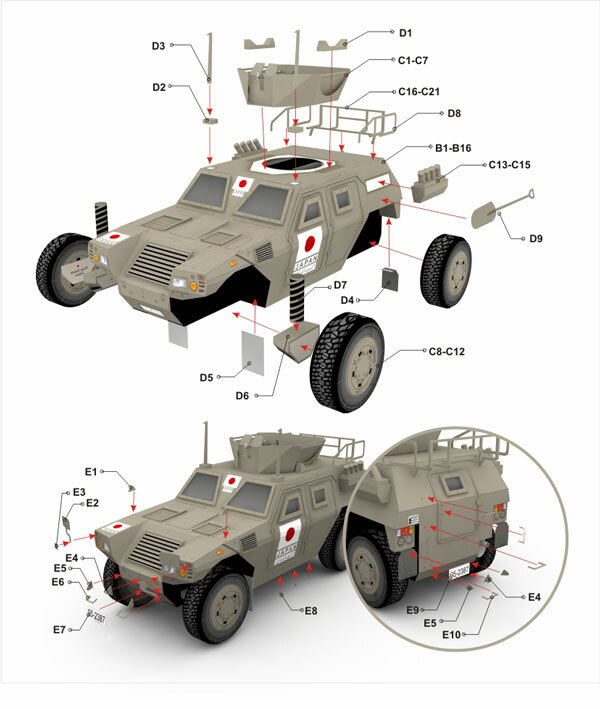 This light armored vehicle was my first design of wheeled vehicle. It comes with 1/28 scale. 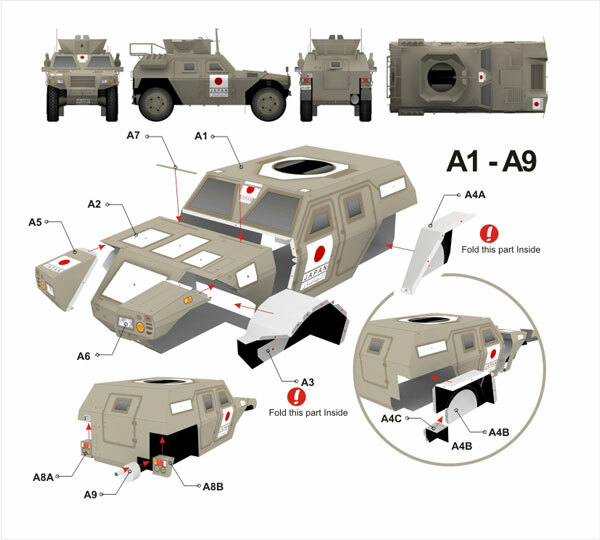 The Komatsu LAV was developed in 1997 to meet a JGSDF need for an armored wheeled vehicle that could provide armored protection since their Toyota High Mobility Vehicles and Mitsubishi Type 73 Light Trucks were not adequate to provide protection from small arms fire. 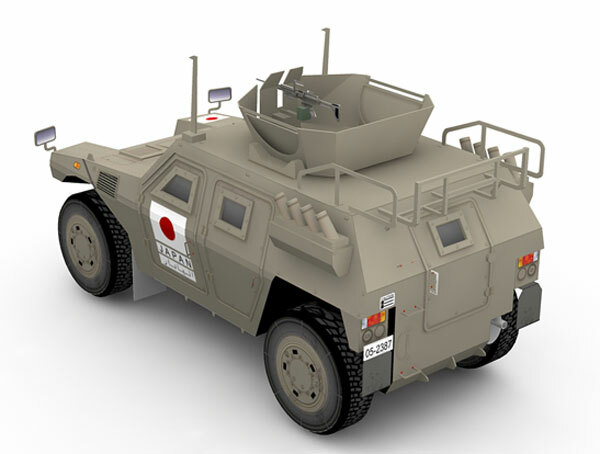 It had made its first appearance in Kuwait when JGSDF units had deployed the Komatsu LAV prior to humanitarian operations in Samawa.